Ok, so after several emails and a post on a message board (LOL) here are the close ups of the mini album! Thank you! 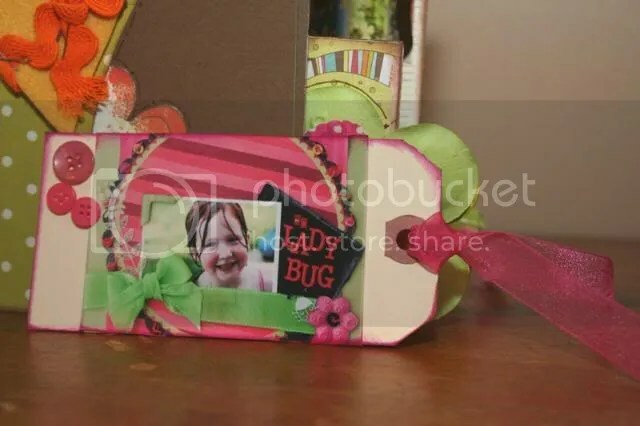 I have another fabulous project in the works for a bow holder! I’ll post it tomorrow! That is an easy question for me to answer but when asked to create a mini album surrounding that question I was baffled. 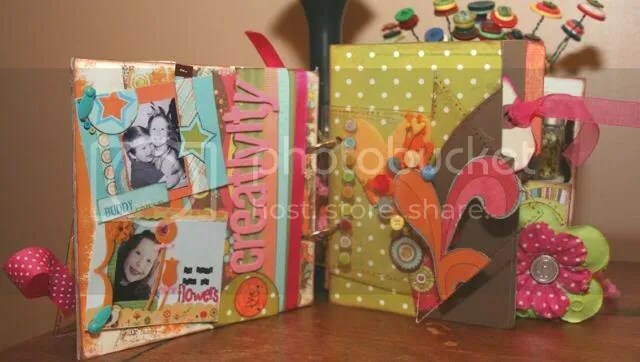 I thought, I know why I scrap: to preserve memories. But why design? 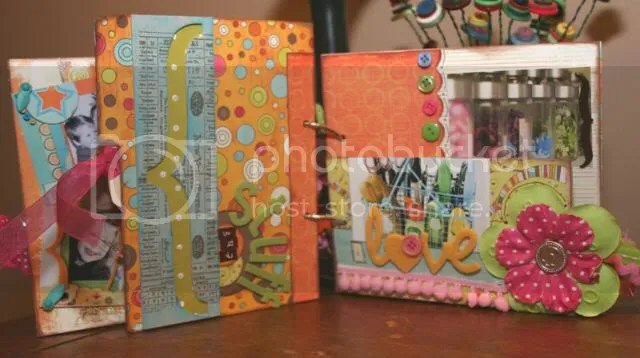 Why do I have the desire to not just scrapbook but design? The answer was very simple to me: the friends, the creativity and the stuff! So I created a mini album that showcases those three points! 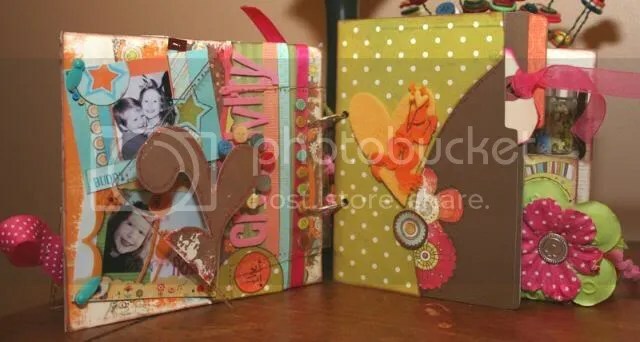 Then I couldn’t decide between acrylic or chipboard so went for a little of both and threw in some Heidi Swapp folders we rescued from the dumpster too! I used We R Memory Keepers “White Out” that I had been saving for something special, My Mind’s Eye “All Star” and some Scenic Route papers. I also used a lot of misc. 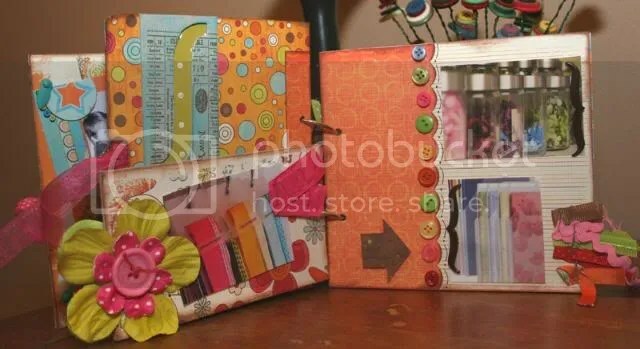 ribbons, button, felt and corner brads! 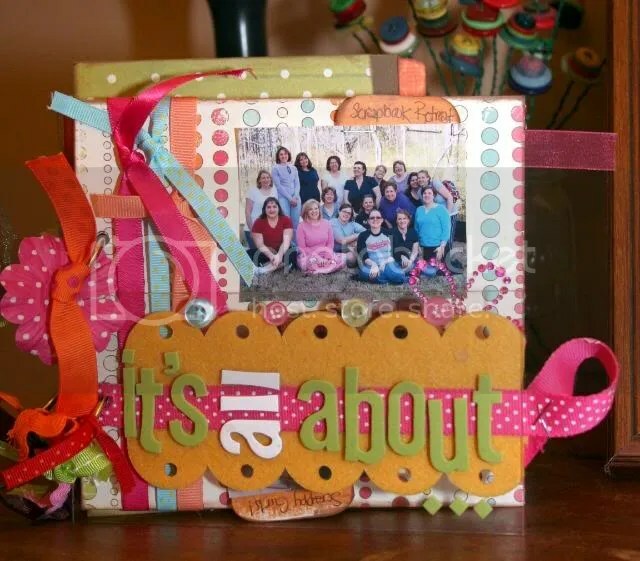 I still have several openings for the scrapbook retreat in April! Please email me for more information! 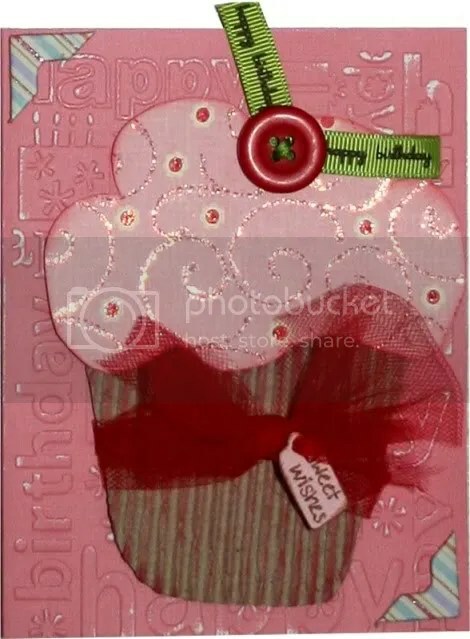 I needed a Happy Birthday card for a friend and wanted something upbeat and happy. 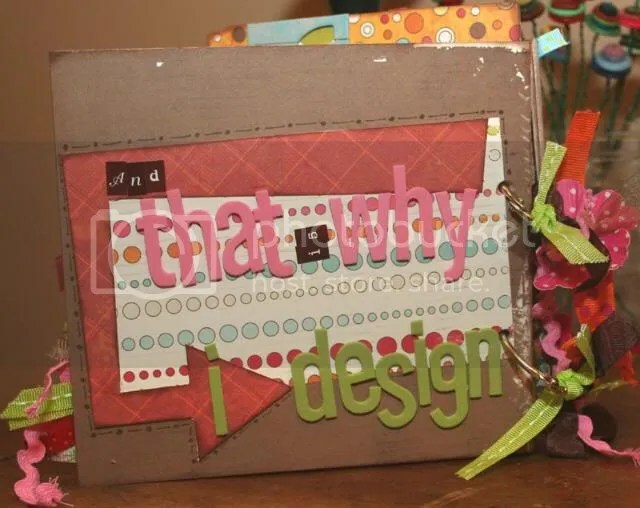 I hand-cut this using a piece of a box and a piece of paper from one of my favorite manufacturers: My Mind’s Eye, an embossing folder and my cuttlebug and lots of stickles! Don’t forget about the retreat! There are more details in a post two below! I still have several openings!!! Pink and Aqua and winners, oh my! My kids are OBSESSED with the Wizard of Oz right now. Can you tell? I’m pretty thrilled with it actually as it was my favorite movie as a child. Well one of. I also loved Seven Brides for Seven Brothers, Sleeping Beauty, Mary Poppins. Catching a theme here? I love musicals. LOL. What was your favorite? Random.org chose a winner from the people who signed up to follow my blog and the winner is: Stephanie Feist!!! YAY! Keep a lookout for some Rusty Pickle goodies coming your way! Have y’all seen the new Epiphanie bags??? One of my favorite people Kim introduced me to Relish Photography. She is awesome. The things that woman does with natural light is just. . .well. . .awesome! Then she goes and gets even better by inventing the Epiphanie bag! Check it out! I want the aqua one. I think. Maybe the red. I just can’t chooooseeee!!!! I tried to show photo of them but it won’t let me. So go check it out yourself. And don’t forget to sign up to receive email notifications when a new blog entry is posted! Next Monday I will use random.org to select a new follower to recieve a goodie box!!! Today is New Year’s Day so I challenge you to pull out a new product. Did you get some new goodies for Christmas? Is there a product you saw and Had to have? Use it today! Today is a new beginning so let’s use a new product! As for uploading, please got to http://www.flikr.com and become a member if you are not one already. For now upload to your own page and later I will send the link for you to become a member of the ScrapLoad group. Please send me an email to the link to your layout. Are you confused yet? LOL. Crazy email. Thanks for bearing with me until I get this figured out. I’ll be in touch with you all soon. And if you were on the fence about joining and have now decided to join, please let me know! THanks! Here is a link to the blog entry with all the specific details!